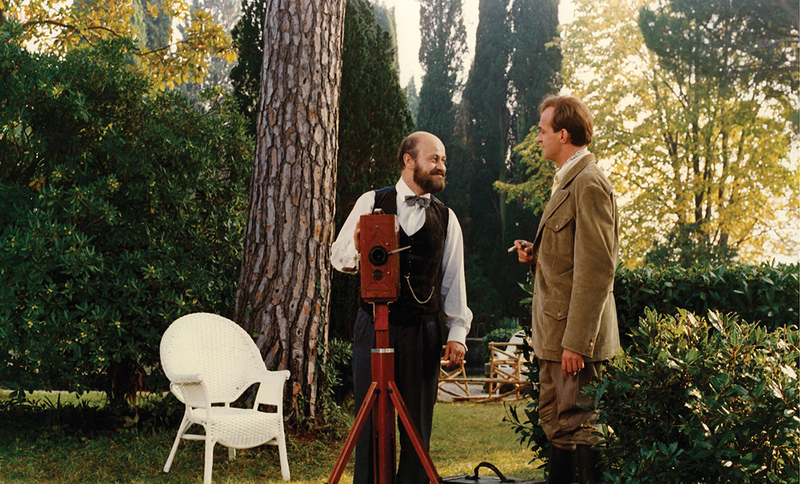 The cause behind this long, exclusively-seaside conversation with Karpo Godina, avant-garde film and theater legend of “that” Yugoslavia and Slovenia, is the retrospective of his movies, that will by the end of October this year, be shown at MOMA (Museum of Modern Art) in New York. For this occasion, we “lured” him to my island where we talked for almost three hours, all about his life and craft. Charmingly open, pleasant and natural, he made those three hours to be spent unnoticed. And while we were putting an end to our conversation, I still had the feeling of an unfinished interview. I didn’t even want to try the impossible mission of naming all his awards or counting his movies or shows. I hope that this interview will shed light on at least a couple crucial moments and topics which occupied his curiosity for decades and begged for a more “subversive” response. Introducing person such as Karpo Godina to a diverse public is no simple task. His hugerange of artworks, whose creation began in the late sixties and is still expanding today, made him contemporary to many generations. Part of the public will get instant meaning from a note of one of his movies, while younger generations will have to keep up. Times in which he created changed, but his specific aesthetics and anarchic playful approach to mocking reality remained his trademark. 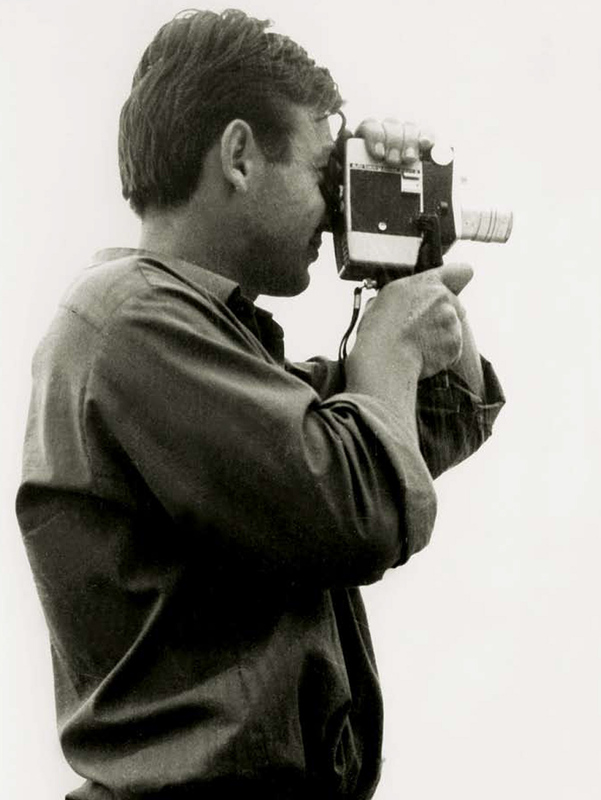 He is the winner of many awards, in “this and those” regions, for both early shorts as well as for his feature films. He collaborated with movie legends, worked on cult films, and for that got awarded or banned. Today, titled professor emeritus and retired, Karpo Godina is still far from the steady waters. His new movie is still in progress (some things will always be the same), but we firmly believe that he will, once more, claim victory with a smile. A retrospective of your movies in MOMA in New York must be the crowning of every career. Or was the lifetime achievement award you won this year in Ljubljana? This thing with MOMA came all of a sudden, but I still wouldn’t consider it the crown of my career. I still expect more from myself in this lifetime and when I put all that together a crown can be made; then, it would be me who will be satisfied with the creation of a few more of my dreams in film field. I believe that maturity comes with time, I am currently bothered by things I never even considered before, and they seem essential now, which is why I want to complete my film story with some “new birth” in late years. Regarding the lifetime achievement award, it’s like they are burying me, I don’t want to brag, but over the past th ree years I believe to have won all possible awards in Slovenia, I think four or five… therefore it already tired me (laughter) and I wonder whether they have some medical information that I do not. They simply “burst” with all sorts of acknowledgements, that’s how this MOMA retrospective came all of the sudden, everything started moving over the past two years, we’ll see where it leads. Explain us, ordinary mortals, how does one get to a film retrospective in MOMA, how does it feel when your movies are next to a Bergman or Godard? 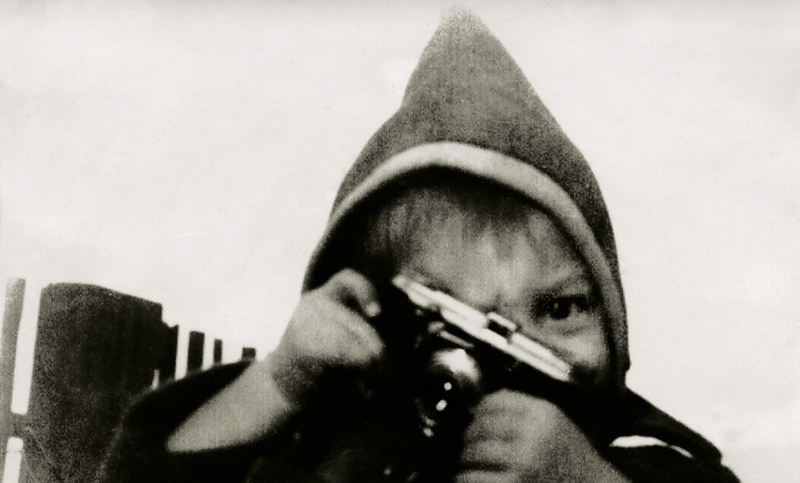 From 19 till the 25thof October this year a selection of your films will be shown: five experimental black-white shorts from the period from 1962 till 1965; from 1970-72, five “subversive” shorts, then Black Film (1971), Karpopotnik (2013) and Occupation in 26 pictures, as director of photography. Three feature films will be shown, The Medusaraft (1980), Red boogie (1982) and Artificial Paradise (1990), which you directed. During the retrospective of late Miloš Forman, they called me from MOMA and asked whether they can show I miss Sonia Henie where he has a “part” and I sent it of course. That’s how that film was released in a catalogue, a very nice thing to me, to find myself in the retrospective of such master. Even though we knew each other since my student days at the Academy in Ljubljana, we visited Prague, he was still a young kid and so we hanged out. That 1972 when he came to Belgrade, we already knew each other. All those American authors, who filmed I miss Sonia Henie, didn’t even see the film, which is why, approximately ten years ago,I was invited to BAM (Brooklyn Academy of Music) in Brooklyn for them to see. The film was shown in front of the public with whom we had a conversation later. 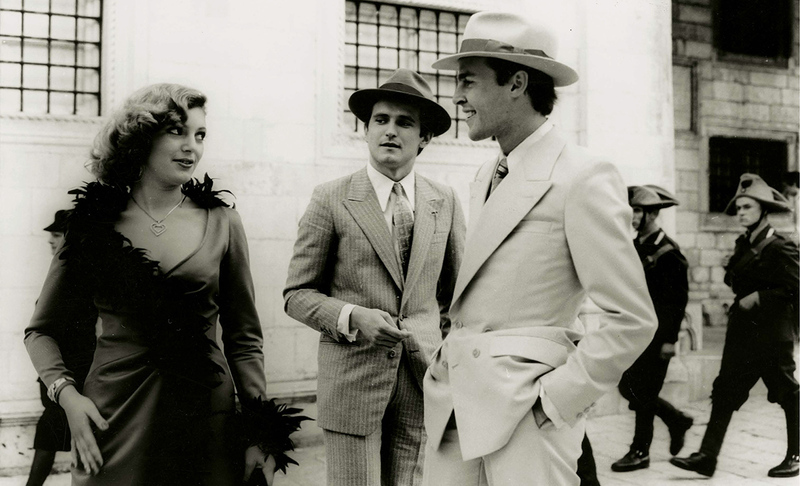 That was my last get together with Foreman, as well as my first appearance in MOMA. Now it came all of a sudden, technically, the invitation asked whether I was ready to give my works for a retrospective. I thought that someone was joking, but then we checked online whether that person actually exists. I responded and that’s how it all started, four months ago. We prepared everything and the retrospective will be in October. You were “subversive”, avant-garde, screenplay writer, cameraman, director of camera, editor, director, professor, now an Emeritus… I must have missed a lot more. When you look back at your life and rich career, and then look again at this reality, what kind of movie would you make today? The word “subversive” made me remember the award I got three years ago at Palić, Subversive film festival, those subversions of mine were awarded a bit late (laughter), but alright… today you could create, but it would be very hard since everything is so dirty and ugly. Simply put, everything that came with advances in technology, with the internet, all those lies, I just can’t find my way in all that. I can actually, I know what should be done, it’s just that before you could have a clear goal of what to attack and you were Don Quixote. Today, I would be a true Don Quixote if I threw myself at that ugly reality. What I would still like to create today, is not some sort of a critical review, because I started presenting more of intimacy and certain values. I believe that showing those values is the most subversive thing and the way to survive. It will be enough for it to reach some people, I guess some chain would then spread it somehow… some smaller, intimate circle of people, I could be satisfied even with that. The global, the falsch and fake exist, so you simply have to rely on the environment you still trust, respect and live with. In one interview you answered a similar question plainly: “I despair”. The Raft of Medusa, 1980. How would you explain that zeitgeist of the seventies and then eighties, up to the war? Each decade was different in that sense? That spirit of the time of each decade was different. Each decade in between was extremely diverse. The sixties and early seventies, up to 1972 were the crazy, finally the same happened to the world, that year of “1968” and the hippy movement was a period full of life, it opened many doors, there was optimism and the whole lot of things. I’m speaking about our region, ex Yugoslavia, about film: that ’72 when they closed the door to freedom, a different period came, and it lasted until the 80s. A different period began; various conformists were in, it was a wave (“white”) which flirted with the government a lot. There were exceptions, absolutely. Even though I already had my ten-year ban of working as a director, I managed to make my first feature film, The Raft of Medusa, 1980. 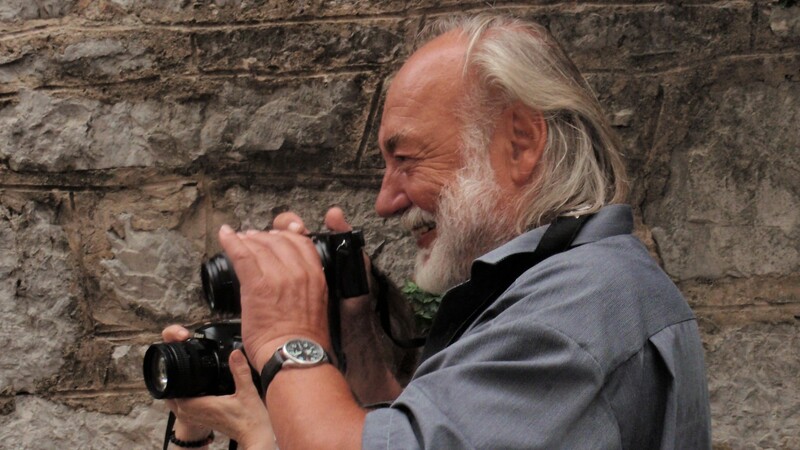 I also managed to, as a director of photography, make Passion according to Matthew, by Lordan Zafranović and later, Occupation in 26 pictures and some Slovenian movies. The ban didn’t forbid me from working as a director of camera or at film montage so I pulled through. Under lucky circumstances, Filip David from Belgrade television read the script for Raft of Medusa and allowed Belgrade television to make it, while Viba film got involved as well. We made my first feature film, which opened doors for me, which is why, two years later, I created the feature film Red boogie. While I was filming The Raft of Medusa in Vojvodina, some trucks came one day, they collected all our tech-gear and said, we’ll pay for everything, you stay here. We just looked at each other, but at that time Tito’s death was expected, so they needed all the technical equipment in order to film from Ljubljana to Belgrade. That’s how we stayed and lived nicely in Vršac, Tito died and our gear was returned and so, life moved on. The nineties, up to the war, were a period of resurrection for me, I directed and filmed and have most of my feature films there. 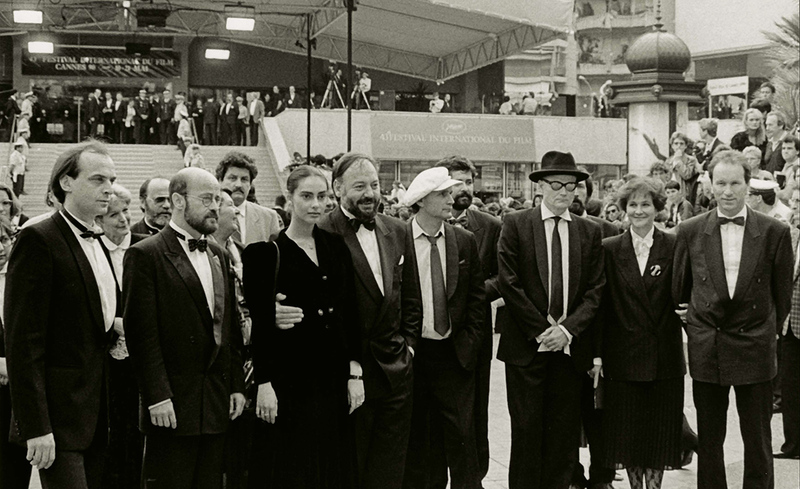 My film Artificial paradise was screened in Cannes in 1990, which is the last time that the Yugoslav flag hung at that festival. 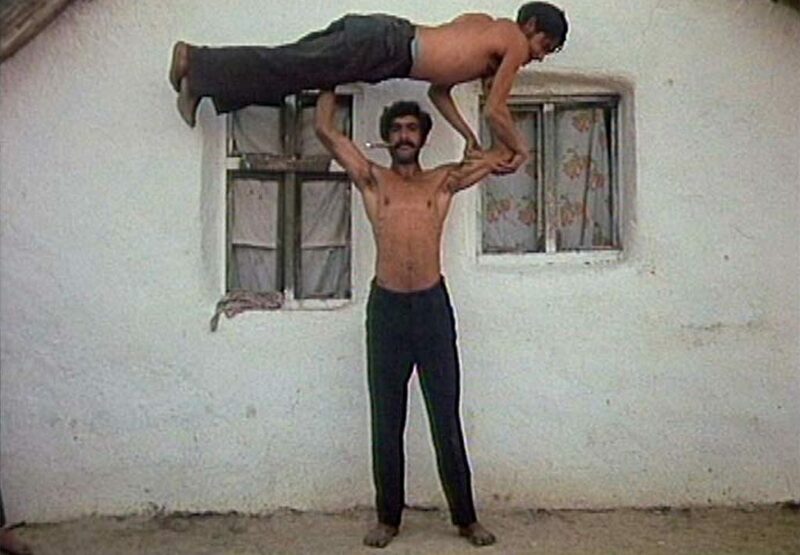 It was also the last Yugoslav movie to be made. Later on there were only Serbian, then Croatian, then Slovenian and so on. This means that I ended the story (laughter), as a trophy. We, who were born later, try to understand how it was for you during the so-called black wave and the overall feeling is that there was more creation despite the bans and bunkering of films. Authors created even though they knew what was waiting for them. Some famous films were awarded in Pula and in international festivals, and after that taken off repertoires? How did those hands of censorship let some authors (from some list) make a movie, and then ban it? That is very interesting; we still ask ourselves today, what kind of mechanisms were those and what that was… I’ll firstly talk about the sixties, such incredible enthusiasm, and everything started from the Kino club in Belgrade. That’s where authors were born, Makavejev, Pavlović, Rakonjac etc. a whole group of lovely people and directors. It was the base in from which they came and wanted to speak about something important. Money wasn’t important back then, the material side somehow wasn’t looked at. We all waited for Pula (film festival), to see what a colleague created, films were in the making for a long time, so long we would almost be late for Pula. And no one knew what the other one was doing, each piece was different, we impatiently waited for other colleagues; it was a fun time. Curiosity and energy and the need for self-expression, that internal need, that was it. Which is why, when they called us the “black wave”, it was actually the New Yugoslavian film, as it was a wave in France, Czechoslovakia… that 1971 I filmed the Black Film for Želimir Žilnik, a short film which earned us the nickname black wave. Instead of being labeled New Yugoslavian film wave or New Yu film, or anything nice, it got an ugly nickname, which is still used today. It was the government which named it… they introduced it. When they asked from MOMA what else would I choose for screening, out of my cameraman works I choose Occupation in 26 pictures and in shorts that exact Black film, where I was a cameraman as well as the editor. I also chose the Karpopotnik, it’s a film where my student Matijaž Ivanišin made a movie about “me”. The story is truly interesting; he met me and told me that the fund “accepted me working a movie about you”. He asked me whether it’s possible and I told him that it’s already late, but I agree under certain conditions: I will not be in the movie and that no one will talk about me. He looked at me, “Karpo, what do you mean”, but due his exceptional talent, I was sure that helped him; and in a few moments, he said, all right. I think that he made one of the most beautiful films ever. Did YU cinematography, with such censorship, manage to follow world’s trends, would be a logical question. But, I found a review of a foreign critic that, besides for the French New wave, New German film, and Japanese rebels, ultimately revolutionary and radical films were made during those years in Yugoslavia. We didn’t just follow trends, we also set them? Yes, that was absolutely the case, how would I call it, the New Yugoslavian film, let’s not call it a wave, was advanced in it’s honesty and engagement, and I really believe that is was number one in world cinematography at the time. It is true that some samples were taken, mainly from the new film language, some things were implemented as a new film form. But when it comes to substance, no one could equal them; I think that the Polish were close. But that 1972 they banned films and dispelled authors, Makavejev left for France, Petrović was thrown out of FDU (Faculty of Dramatic Arts) and went to France, Žilnik to Germany… I was lucky enough to be working on other things so I stayed there, Stojanović was arrested, sentenced to three years in prison. It was very repressive and ugly, that’s when I got the ten-year ban from working as a film director. If it all hadn’t have happened, today we would be talking about a completely different cinematography on the grounds of ex Yugoslavia. It would have developed further and went, I don’t know where, it was just a bud and the “boys” that came from Prague (Prague Film Scholl) probably could have had a much more bold appearance. That new generation could have expressed itself much sharply, I’m not talking about sharpness as something that has to be, just that they would have said more. 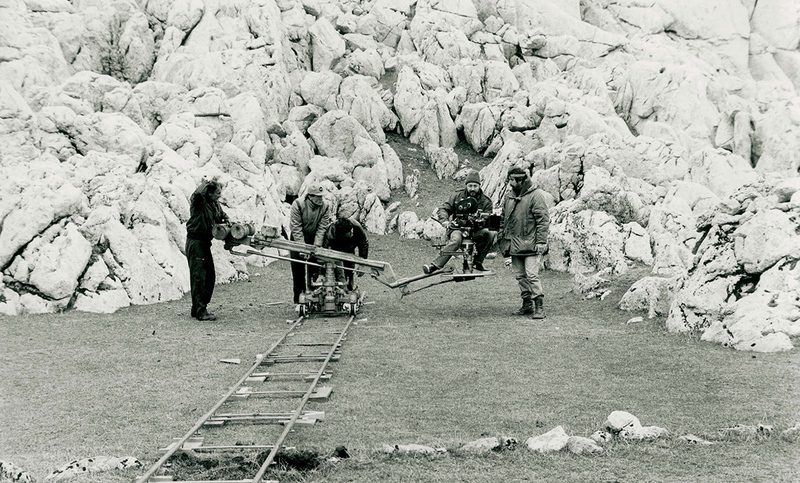 Directing the film, Small Train Robbery, 1984. It’s time for me to mention one name, Branko Vučičević, he’s the gray shadow of all of that cinematography, worked with Makavejev, Žilnik (Early works), as a co-film writer. Unfortunately, it’s two years now since he’s passing. He was the soul of the endeavor; he stood behind it all, all those new stuffs. Before his death, he wrote me a screenplay for a feature film Walter Benjamin and I’m waiting for the film to be realized, but he, unfortunately won’t see it. He was a film writer twice, for Raft of Medusa and Artificial paradise. We met while working on Early works, he was assistant director and co-screenplay writer, and we have been inseparable ever since. When I decided to enter this crazy adventure, and have world-renowned stars make three-minute-long films during the FEST, we first asked ourselves how we name it. We thought of a hundred titles in Branko’s room, and then he said, I have Snoopy here, he’ll say something smart for sure. We were flipping and flipping pages and found Snoopy twirling on the ice, which is how he twirls and twirls in the movie until you can’t see the face anymore and says “I miss Sonia Henie”! Since we had the headline now, we sent, with our terms, FEST organizers to the Belgrade airport to ask film directors, as soon as they get off their planes, whether they want to shoot it. They thought that no one would do it, but every single one accepted (the terms were: three minute film, static camera, same angle, no optics changes, one room, someone has to say “I miss Sonia Henie”). In one attic close to Atelje 212 (Belgrade theatre), each morning, starting from 2 AM, when all the fun parties would end, one by one they made their film, and each one would come to see what their colleague was doing. Well, even Hitler liked Sonia Henie, a very interesting Norwegian woman! Did you know that the website of Miloš Forman has a story on that endeavor of yours? Bravo, that was the right solution; we were already desperate about how to name the movie. Only one sentence needed to be said: “I miss Sonia Henie”. Forman acted while lying in bed, wrapped in bandages, and had two tubes. One like an infusion, completely wrapped, he had to survive that shoot, and so one tube came from a bottle of cognac, Skenderbeg. Forman drank a whole bottle during the filming. One of your movies that are harder to analyze is the short Gratinated brain of Pupilija Ferkeverk. It’s ironic that it was funded by the government? Your modus operandi: film has the shape of positive propaganda at first, then transforms into humorous irony… you knew that it would get banned because of the explicit LSD propaganda. When it comes to funding we had a “subversive” situation. Neoplanta film in Novi Sad existed, and it’s CEO Udovički, old and good-looking gentleman, who graduated from the Academy as an actor. Neoplanta had an undefined status, it was an oasis and since I already filmed Early works, he somehow liked me and asked whether I’d make something else, and where the money came from I didn’t even know. That’s how it didn’t get censored and that’s how I made Gratinated brain I Healthy people for fun. He asked what it would be about, I vaguely started, but he said:”you know, take the camera, the crew and go”. He said that there was no pressure and that he could maybe even fund one more interesting film, as it was White people, (group OHO). A famous Slovenian theater director, Dušan Jovanović, opened Pupilija Ferkverk Theater, which is a made-up name, she doesn’t exist. The theater had amateurs, it was one off stage. I took some of those heroes and went to the seaside with them when Udovički allowed me to make a movie in so called Savudrija valley. There, the swing would be that border, while the actress was swinging, she was once in Croatia, and then in Slovenia. I stuck my camera in the sea there and shot the same frame each day. And gratinated… well, gratinated was the brain of the people… if the gratination could soften it they would have lived a nicer life (honest laughter). A complete story on the movie On love skills or film with 14441 squares is fun, from how you convinced Zastava film to fund it, to how you charmed JNA (army) to lend you tanks, plains, soldiers, to how, because of the way you filmed, you barely avoided days in prison and kept the copy of a film which the furious “organs” destroyed with an axe. I served the military as a footman in Ajdovščina (Slovenia) carried heavy arms. It was winter time. Zastava filmwas a military owned companyin Belgrade, it produced educational films for the military, which were then shown in garrisons all over. They called me, they knew that I made something but not what, anyhow, they needed a movie expert. I went to Belgrade, they put me in civil attire, I had to stay anonymous because I also directed some other events… and the main thing was that during that time I could make a movie, to make it educational… I said that I could because I had just read in your military paperFrontthat in Štip, Macedonia, there was one problem: the garrison had 14000 soldiers and that the factories and schools have 7000 girls, and there is no any interaction. And I wanted to expand on that. They asked for the script, approved it, said “bravo”. The General stuff put a seal on it that once I arrive at the garrison, I was in charge, everyone had to listen to me and “you’ll be the boss for a week”. They thought the movie would be positive for the army reputation. And so I commanded them, taped them, people couldn’t believe it, because I commanded all ranks. Of course, I turned the script upside down, and then edited the footage. Once they realized it wasn’t an educational film but that it conveys the hippy mantra “facciamo l’amore non la guerra” (make love not war) I was invited to the military court and almost got many years of prison, but was saved by the then art director of Zastava film. He barged in the last moment and spent two hours explaining what an artistic freedom is. The court and the generals understood nothing of what he said, he talked in a Montenegro slow manner, and they eventually said alright, let’s let it slide this one time, but tomorrow, the negative and the film should be destroyed with an axe. I packed the so-called zero, trial copy in my bag, and believed that I was the only one to have it. Inside Zastava film and in front of a panel the film was indeed cut. But three years ago, I went there and was surprised to see that the film was kept, both the negative and the positive. They made me a great digital copy in Vienna. If you could see how younger generations read your films, generally the ones you directed? They see things from a different perspective. How do adolescents of today read “Make love not war” in cinematic language, which you used in Love skills (for example they only know that grandpa served JNA in Macedonia)? I somehow like, if it’s possible, when those movies are on, to be present for at least one projection, to feel the young crowd pulsate and am always completely surprised. I don’t really ask what they think, but I see that it somehow works. What they see, what amuses them, I believe they probably read it 50% right. And probably, their internal projection, from today’s perspective, doesn’t have that exact background. The metaphor in the title Raft of Medusa is obvious, but there’s a group of Dadaists, surrealists, early 20s and two teachers from the countryside… explain the idea you had, why Dadaists and zenithism in that 1980? 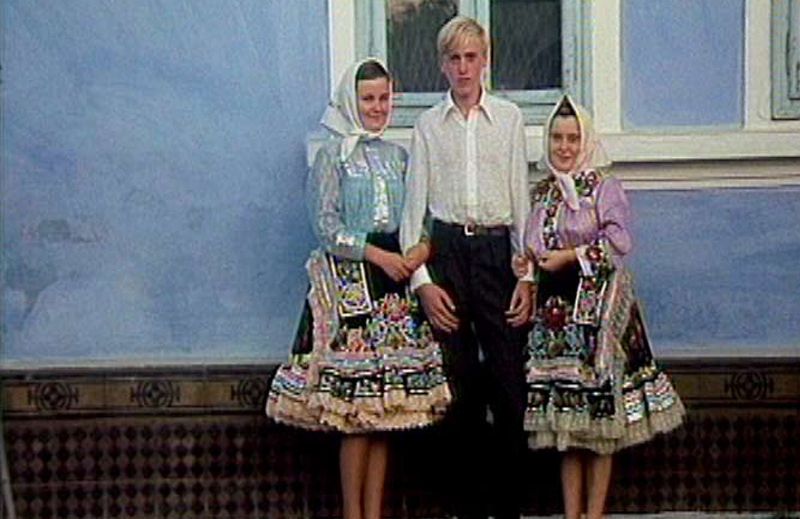 The question is whether avant-garde was possible and needed on the Balkans or was there more? That’s where Branko Vučićević started, he studied zenithism, we looked for materials together in university libraries and discovered a lot, we worked hard preparing for that thing, Branko and I. That was once more subversive (laughter) because through that story we could talk about the moment in time we live in and we made some kind of parallel in this movie. The period we talked about, let’s say 68, hid a lot. The scene with Aleksić, as the “strongest man”, for example, is where we aimed at interrepublic’s’ affairs. If someone cares to read, knows enough about some issue, it will serve them as a good archeological artifact in ten, fifteen years. 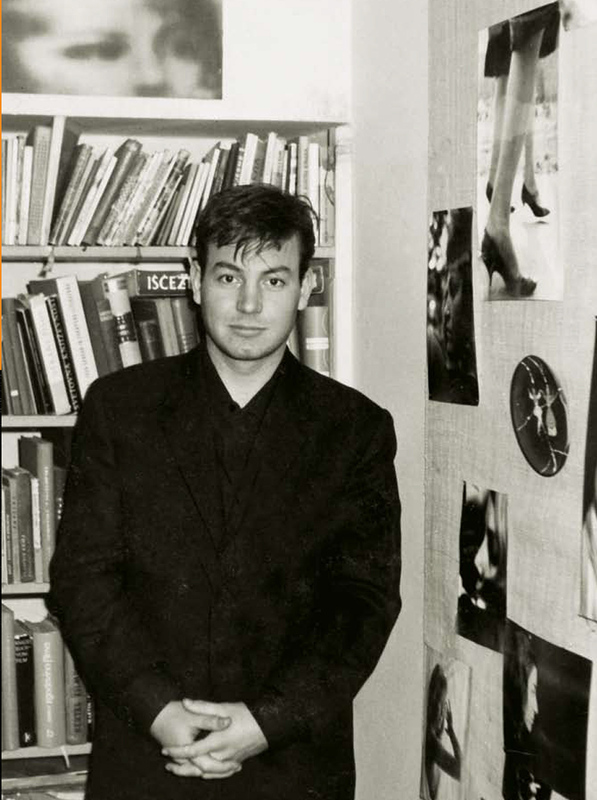 In father’s room in Maribor, 1960. On the set of Good Luck Kekec, 1963. How much Karpo Godina of “today”, as opera’s director, differs from that Karpo Godina who shot Raft of Medusa? How do you see yourself? I graduated in theater directing, my mother was an actress, so I spent a lot of time on the planks of the theater in Maribor, and appeared in operas as a child, in Bohemians. I can still sing that part that I used to sing as a boy. That’s where I became one with the theater and why I love directing. The planks are still alluring and I’d love to work more. I accepted directing two Maribor operas, not to offend Ljubljana’s, but Maribor is better when it comes to opera, it really is excellent and has excellent technical capabilities. It’s a nice challenge, the rhythm is given with opera, the word inside the rhythm is given and nothing can be shorter or longer. You have to put mise-en-scene and all those things together; it’s like playing chess by using precise movements. You have to devise of what to do on a global level but can’t move inside it. I find that great, it releases the imagination completely on one side; while on the other it makes me disciplined by adhering to these “rules”. In that part in which you could express yourself “freely” when directing operas, did you improvise with the same vigor as before? Yes, I was lucky enough to do such two operas in which I could amaze everyone with what can be created from the same text and music. Both were very relevant and I found myself in them. Meaning, I didn’t run from myself when accepting to do them. I had amazing colleagues which is very important. Edward Clug, art director of Maribor ballet, world known choreographer and dancer helped me greatly, I “imported! A scenographer from Croatia, a painter (Zlatko Kauzlarić Atač), a costume designer from Serbia (Bjanka Adžić Ursulov)… My mother gave me a good advice, Karpo, always choose a crew which will elevate you, do not “pull” out things from them. Its torture when you struggle with basics and can’t get out of them, that leaves a bitter taste. When you have a good crew, it’s like an orchestra with great musicians. I abide that principle as much as possible. Also, I was president of the judges’ panel this year at Theater springin Šabac, something similar to what we have in Maribor, Borštnikovo srečanje. I didn’t even know that the contract I signed is for two years. I enjoyed every single night. I used to work in Serbia a lot, I knew everyone, and we were a crew. Now the generations have changed and it was incredibly interesting to see what is going on in Serbia and what in Slovenia. In Serbia, in theater, they went down a completely different path than us, two completely different poetics developed. I found it interesting, watching a Belgrade theater show, directed by a Slovenian, in Šabac. And thank god, the cultural sphere of ex Yugoslavia is intertwining again, enriching in the field of film and theater, which is the easiest, literature can be closed with translations, but this thing going on is really good. Who caught your eye from the young generation of actors and actresses in those Belgrade circles? For the actor, I’d say Nikola Ristanovski, a Macedonian actor, acting in Belgrade, one complete personality. If he continues on this path the public will be very pleased (female public, laughter). And actress, I find Hana Selimović, Meša Selimović’s granddaughter, very interesting and expressive. I watched her in Šabac, she’s an endearing person. I told her that my mom translated the novel, Death and the Dervish to Slovenian, and that she used to be friend with Selimović. How do you view the works of young directors, there are many inspiring topics, but..? 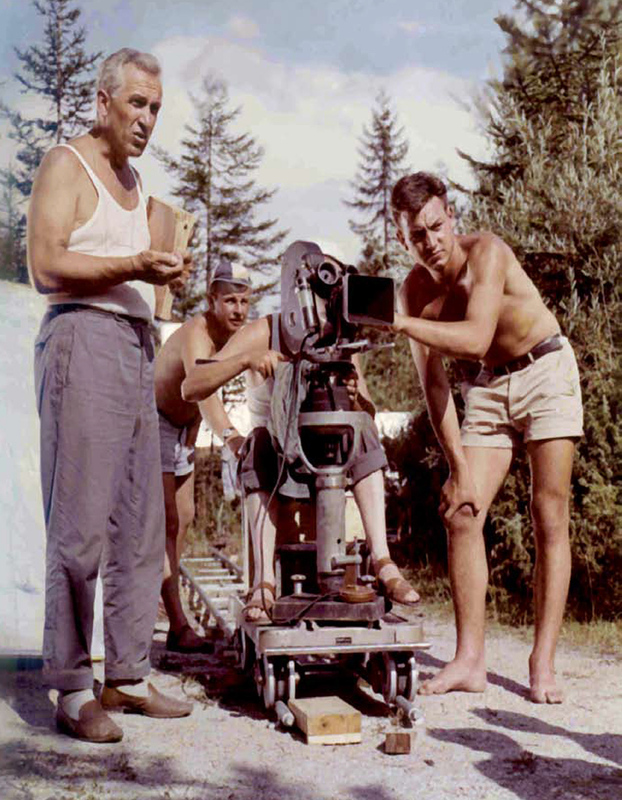 While I taught at Ljubljana’s academy for directing and camera, I saw that those generations, at the beginning and after the war, they were pretty lost and disorientated. With time, the society formed as it did, and I could watch how they approach to topics with pleasure. When asked what he thinks about, for example, theater director Oliver Frljić, Godina says: “… I can just say watch the movie Srbenka, that’s my response, that’s the real Oliver Frljić inside as well as the lovely Slijepčević. It’s one of the stronger movies I watched recently. Making such a movie inside the theater, bringing out that topic, and showing Frljić in the light that he deserves. That’s my response, that movie should be on as a reading study, for many things. Are you still friends or in touch with some of the authors that you used to work with (some, unfortunately, are no longer with us). Yes, Branko Vučićević is inevitable. I’m in touch with the others, I traveled in Siberia with Žilnik last year, and it was gorgeous, fantastic… I’m also in touch with Šiki (Slobodan Šijan), and I’m in contact with Makavejev, although less, because of his health. The last time we saw each other was three years ago at Treptalo awards, in honor of Ranko Munitić. Also, it’s important that I don’t forget Vranješević brothers who I met in Novi Sad, and whose music is in my shorts and feature films. They had an amazing range; I could use their melody to predict a movie. It was a relief, I could count on the music in advance and knew what would counterpoint that picture. That was very important. Unfortunately, one of the Vranješević brothers has passed, but Pedja sent me some music samples, he knows I’m working on a new film. I’m still in touch with Zafranović. I also meet up with Rajko Grlić, often in Motovun. And how are the retirement days spent, besides for caring about the boat in Opatija and competing at the World Tournament va pukalnicah? As soon as I got to the appropriate life and work years I retired. Then I became a professor emeritus, and then they gave me a trophy room at the Academy in Ljubljana. I mostly avoided giving any more lectures, but I did teach at the Rade Šerbedžija’s Rijeka Academy. He’s leaving that place as well now, I don’t know whether he’s disgusted with the situationor wants to go back to America.Anyhow, currently he is shooting the movie there. I’m still in touch with him of course, but Žilnik and Šijan are somehow my lifetime friends. And at the third World tournament va pukalnicah in Opatija, where I was brought by the painter Vlado Gudac OPG, and he amazed me with those pukalnicas, I finished among the first ten. Let me brag a bit, my hand is still calm, due to all the camera holding. The boat in Opatija is four meters long, from 1956, made of wood, and its old model and of course completely rotten. That’s how Karpo became a carpenter, I carved and now the boat is back in the sea. The best picture of it is with two blue umbrellas. My Lovran, on the back of the boat is writing in Japanese, in bold red, it’s the name of the boat and no one can read it. What it says is very nice, but it’s a secret (all my attempts at finding it out failed). And there’s one story about sailing days… first Slovenians to sail across the Atlantic. Where did the idea come from? In year of ’74 on ’75, with two more Slovenians, I was the first to sail the Atlantic only on sails (even though I’m half Macedonian). That is a big story. 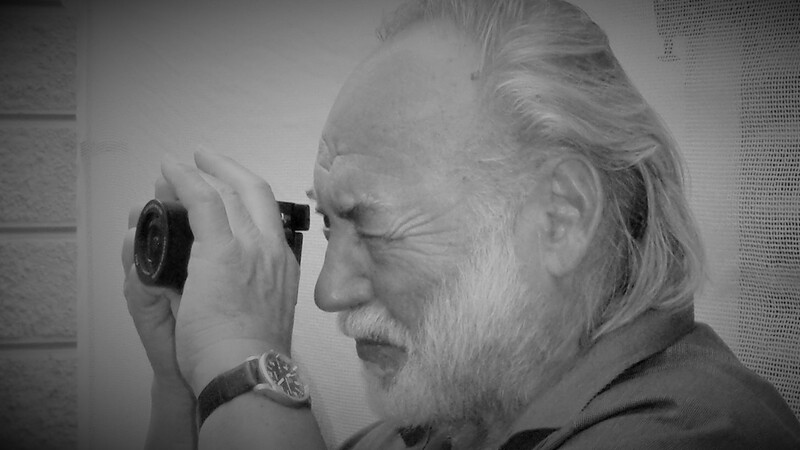 I was shooting Lordan Zafranović’s Passion According to Matthew, 74. Boris Kavaza was the lead actor and got terribly ill at the very end of the movie, so much that all shooting had to be canceled. When I got back to Ljubljana I got the wonderful opportunity to sail the Atlantic. But we only reached Barbados and separated our ways. Once I was back in Slovenia I telephoned Lordan in Split to see whether the movie was finished, he said, we continue tomorrow, sit on the first plane and get here. And so I finished the whole movie and managed to leave my author’s mark. I had a friend who was in film but also sailing, since he was born, a great man (unfortunately he also passed away). We were in Ljubljana Sailing Club in the 60s; we used to sail without an engine every year, from Piran to Dubrovnik and back. There was still no nautical tourism then, nothing was there, rarely would you meet someone, and the Adriatic Sea was empty. It was a fantasy, locals would meet us in every port, asking where you are from, Piran… and so we sailed for years, and when we were offered the chance to sail around the world we accepted. Yes, I have, I stood somewhere on some stage answering questions and said that not everything is so dark, we had a lovely life and to curse that former system now… no, we lived a fulfilled life inside it. I wouldn’t change it for anything. I really had it and still have it (laughter) and I speak without any bitterness.